Life of a Catholic Librarian: Favorite Christmas gift ideas? Happy Tuesday, everyone! I hope that you are all doing well. I'm a busy bee today cocooned happily in my office working on some projects, totally uninterrupted by meetings. Aside from Blackboard giving me a few troubles (which I solved by changing browsers, take that!) it's been a pleasant day. I have lots of interesting blog fodder swirling around in my little head (fascinating developments with my current read, fun dance events coming together) but I'm saving those for later in the week. 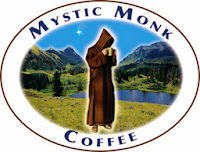 I was listening to Catholic Weekend this morning on my commute to work, and one of the panelists mentioned Mystic Monk coffee as their Pick of the Week. I was instantly intrigued, and thought their store would be a great place to shop for a few family gifts. Well. :) Yes, I shopped, order placed! I loved being able to procure a few Christmas gifts while also supporting a religious community, and thought I'd give them a little plug here. 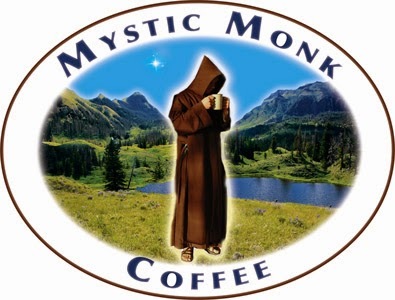 They have a great selection of specialty coffee and tea, and also have a bunch of other gifts for sale: religious items, coffee mugs, a chant CD, chocolates, you name it. Go check it out. I need to settle on some other gifts for the kids and Mike, mostly consisting of books and a few movies. We're a book nerd kind of a household. I have some puzzles and baby doll supplies in mind for Anne, and a Kindle Fire for Henry. I'm very excited to see everyone open everything on Christmas morning. So, dear reader, what are your favorite and/or new gift supply stores and general ideas for Christmas 2014. Big bonus for you if it's an online store that you provide to the introverted Catholic Librarian. :0 Chime in in the comments!